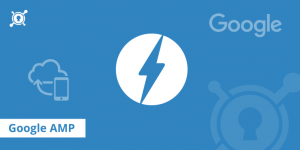 When Google introduced AMP (Accelerated Mobile Pages) as a lightweight alternative to large HTML pages, the adoption of AMP was limited. It looks like that is starting to change. In the last year alone, publishers have noticed double-digit growth in AMP usage. There are several reasons for this sudden increase in AMP adoption. First of all, Google has slowly increased the exposure of AMP in search engine results. There is no ranking benefit for using AMP, so any site that enables AMP does so for the bandwidth and speed improvements. Another reason is that services like Twitter now send traffic directly to the AMP version of stories. There is no user intervention necessary for this change; any service can look for an AMP variant of the page in the header and use that link instead. Twitter alone will account for a large number of AMP loads. AMP accounts for a large portion of viral and breaking stories. On a day with breaking news, AMP can account for as much as half of a news site’s traffic. The immediacy of looking for breaking news on a mobile phone lead to increased usage of AMP. Breaking news stories on Google appear as a carousel that uses AMP links. The good news for publishers that use AMP is that Google serves all these pages from its CDN. It does so because AMP pages require validation and caching which Google can only do from its servers. The amount of bandwidth publishers save is significant especially for breaking news stories.